Animation Animated .gifs, and flash, make your message impossible to ignore. Flash Repurpose your flash files into your Digital Signage. Play any flash file, flash video, or .swf file. Text Sharp, crystal clear text, placed anywhere on the digital sign. Audio Incorporate audio with video files, and play mp3 files. Images Display large or small GIF, JPG or PNG files. 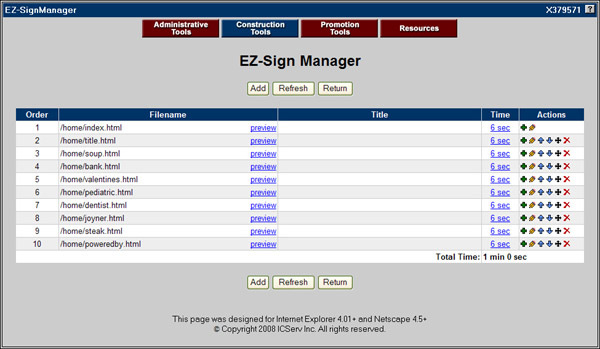 The EZ-DigiSign subscription can be accessed from any computer with an Internet connection. Login to your account and make as many changes as you want from any computer in the world with an Internet connection. Publish and update eye-catching content on one display or across multiple screens using EZ-DigiSign. 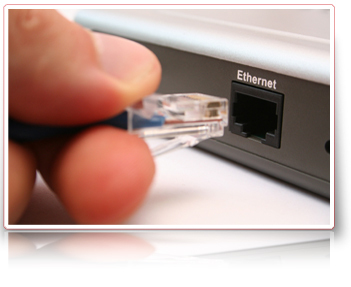 The tightly integrated online software and secure server combination is safely accessed over the Internet. The EZ-DigiSign Subscription Service is a revolutionary online technology that provides outstanding digital signage service with ultimate security and control. Server and online software integration simplifies the technology requirements and eliminates the need for sophisticated technical knowledge. A huge benefit of the EZ-DigiSign subscription service is that upgrades are free and immediately available without any complicated downloads or configuration set-up. The following EZ-DigiSign content modules create and manage digital signage. Create and manage playlists, messages, and promotions. EZ-SignManager is a quick and easy tool that updates content across all digital signage displays. Add content, design unique layouts and create unique digital signs with EZ-PageBuilder. Using pre-designed templates, backgrounds or a unique self-created design, producing digital signage couldn�t be easier. 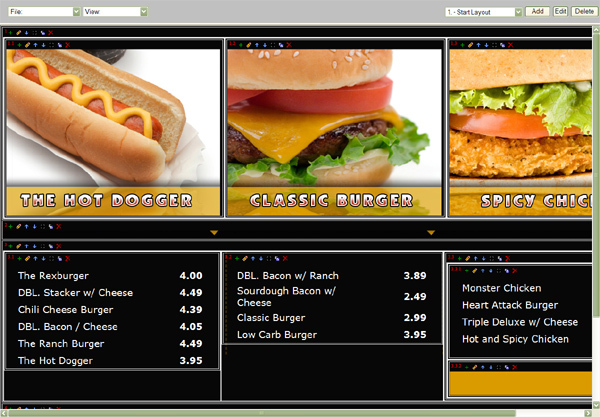 Add text, graphics, bulleted text, tables, and even html elements to design digital signage with EZ-PageBuilder. Upload and manage digital signage files like graphics. Add, delete, copy and move files around to help keep digital signs optimally functioning. Manage account profile for content security and control. Instantly update content across groups of digital signage displays. Secure access to EZ-DigiSign online software through account authentication. 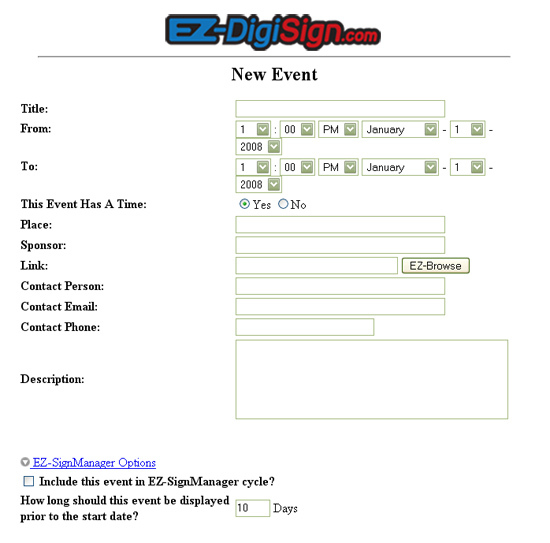 Easily post events using the EZ-Calendar application. Enter the event data into a simple online form and information will be automatically posted on the digital sign. The EZ-DigiSign subscription services are sure to make your digital signage experience smooth and effective. 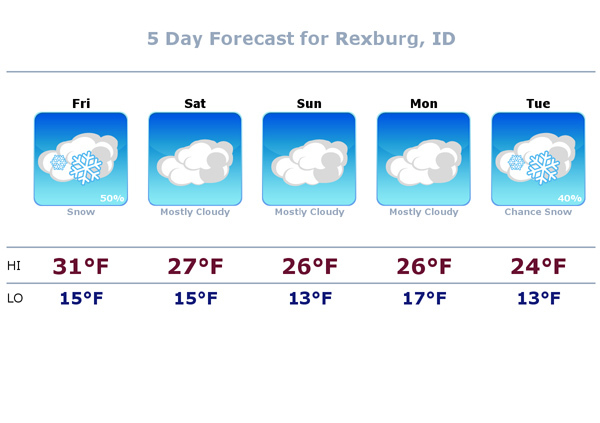 Add specific modules to display dynamic data feeds, such as news and sports headlines, and current weather.